A really intriguing book review from the blog Again and Again. 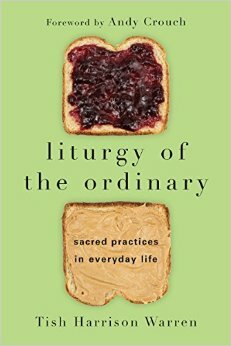 The people at InterVarsity Press surprised me with a small package in last week’s mail: a copy of Liturgy of the Ordinary, by Tish Harrison Warren. An attractive looking book that didn’t appear to be too complicated to read. What on earth compelled them to send this to me, I thought? Do I really want to read this? I have so many books by Orthodox writers to read, do I have time to spend reading this? I came home late that evening – after a church board meeting of all things – and decided to leaf through it. The Foreword by Andy Crouch was good but not too convincing.